Hotel options in Seattle during the summer months are fairly limited. Below are two hotel options, but we are also able to make on-campus housing available, which is less expensive. Explore our on-campus housing options here. The Silver Cloud is directly across the street from the university. 40 rooms will be held up until mid May. Upgraded room types are available at a premium rate and are based on availability. Group rates are net, non-comissionable & exclusive of lodging tax. Please note a $15.00 taxable surcharge is applied for each adult beyond double occupancy. 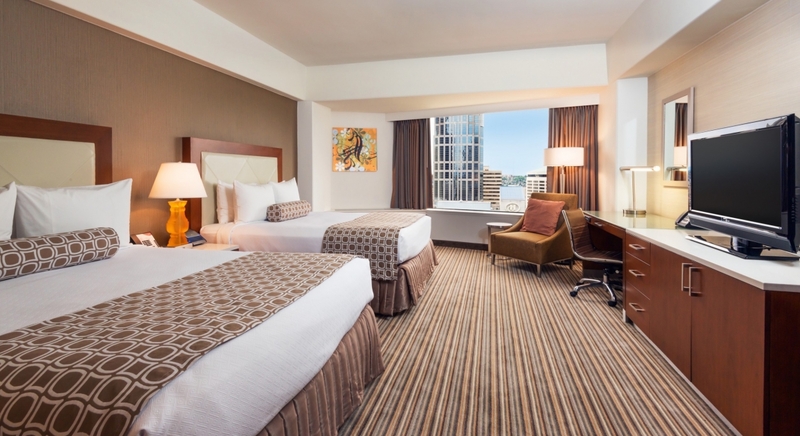 There is a max of (4) four individuals per guestroom, regardless of guestroom type. Call our hotel directly at (206)325.1400 and ask for the "SU School of Business International Conference" or "IAJBS18" group and a guest services agent will be able to assist with making your reservation. Please Note: Parking rate is subject to change. Or call 1-877-410-2551 by June 22, 2018 and ask for the IAJBS Conference rate. *The Crowne Plaza will also offer 25% off overnight parking charges.